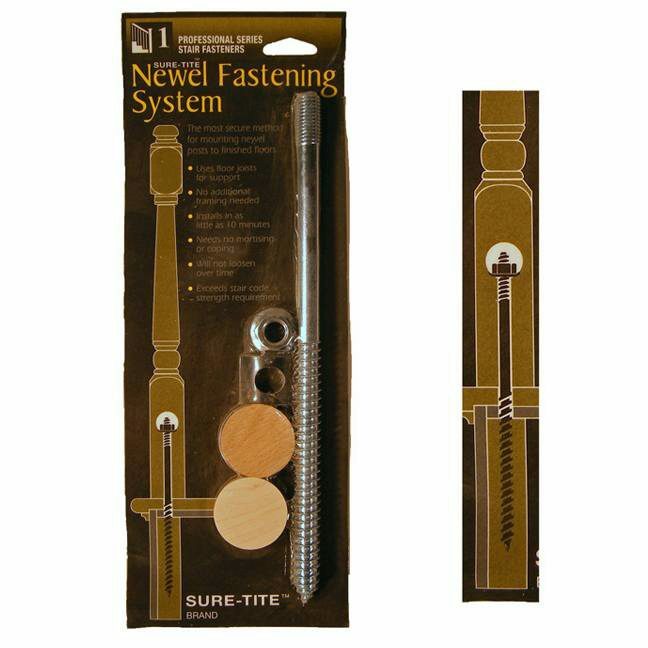 The S-9403 Sure-Tite tool us used for attaching newel posts and box newels to the floor. Our Sure-Tite is 10.5″ long. Let us know if you have any other questions. Can this be sunk into a concrete floor and used to attach a solid newel (base of stairs)? No one seems to make single 5/8 lag shields for concrete. Unfortunately this isn’t designed for going into concrete, I believe a product like that exists, I’m just not sure where you might get it… Sorry we couldn’t be of more help. Can it be used to attach 7 1/2″ newel post? Is it strong enough? Thank you for contacting us, Evelyn Ray. 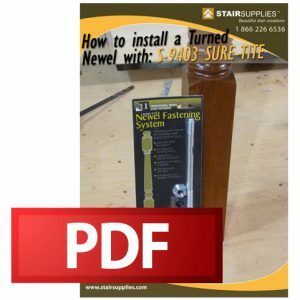 Unfortunately, we have not tested the use of the Sure-Tite newel fastening system beyond our 5″ newels, so we would hesitate to offer our opinion beyond that size.